And you thought avalanches only happen in the west? Think again! Early Saturday morning, December 14th, Holiday Valley’s own double black diamond, The Wall got a taste of the first substantial avalanche ever in Ellicottville. After 34 hours of phenomenal snowmaking in very cold temperatures, a little bit of liquid precipitation fell from the sky and permeated through the five feet of manmade snow causing unstable conditions. A slab of The Wall’s 37.5 degree slope broke away and slid up to 50 feet down the mountain into a crinkled mass. 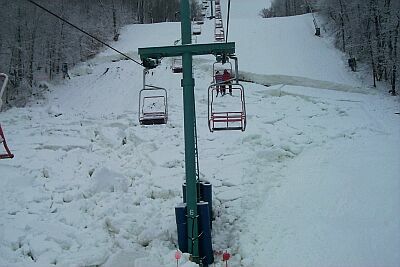 Fortunately, no one was involved in the avalanche and no damage occurred. As remarkable as this was, it is unlikely that it will happen again. 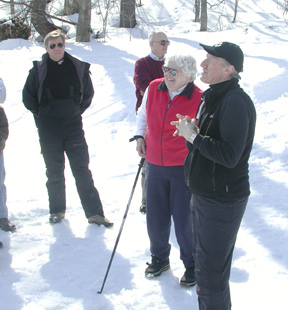 Usually in the east, snowmaking in the early winter goes through freeze and thaw cycles that stabilize the snow mass. So it looks like this is a once in a lifetime occurrence...that's a good thing! The good news is that the snowmakers and groomers were quick to react and after some grinding up of the rubble and filling in the slide area, the Wall is now open for business! 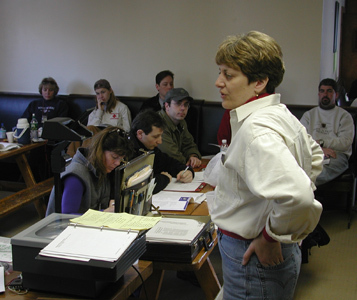 Mary MacQueen teaches the medical aspects of caring for a "found" search and rescue victim. 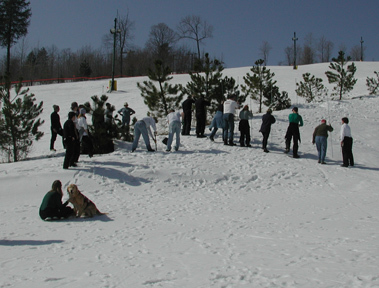 Probing the snow slope for an avalanche burial victim. 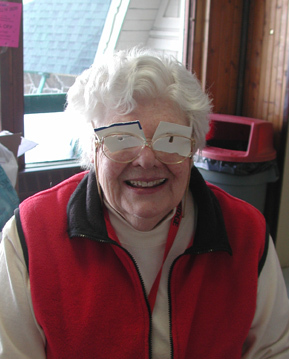 Floss Kirkner models self-fashioned snow googles that could prevent snow blindness in an emergency. 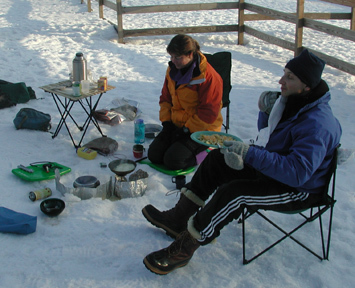 Nancy and Eric Freedman enjoy an evening meal in the "back country". 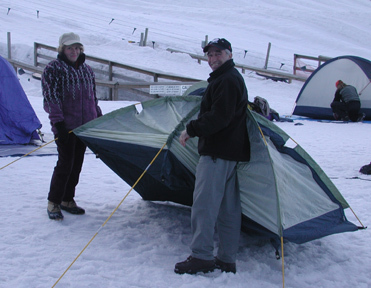 Bill & Rayna McCasey set up tent for the MTR level 1 required overnight camp. MTR Fundamentals does not require the overnight. 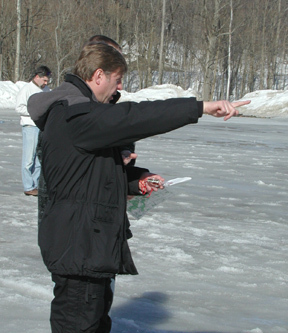 Students work through the map and compass segment of the MTR course. Chuck Dunn and Floss Kirkner give last minute instructions to group prior to the mock search problem.